How has Brighton inspired your recent work? Brighton is such a scenic and colourful place to live and I’ve tried to show as much of it and its people as possible in my web series “As We Are”, and many local businesses and artists are featured in it. 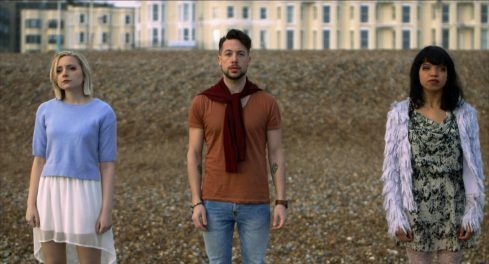 I also wanted “A Little too Obtuse”, the music video for London band Useless Cities, to be shot here, because it was the perfect backdrop to show the various stages of a relationship; we see the characters having their first date in Stanmer Park, their first kiss in the woods, and there’s a dramatic scene on the beach as well; at the end, they dance in The Latest Music Bar, alone in the world other than the band playing to them. The video starts with a sunrise and ends with a sunset above the West Pier; I couldn’t have wished for a better place than Brighton to have shot it. 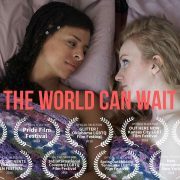 Were there any challenges in making LGTBQ films? As part of the LGBTQ alphabet myself, it felt natural to write stories around LGTBQ characters; but making “As We Are”, where Chloe, a cis lesbian, finds herself attracted to Blake, a trans guy, made me realise that I has still had some things to learn when it came to trans issues. It was essential that Blake was played by someone with a trans experience and I was very luck to work with Fox Fisher, a well-known trans activist; their input in the last episode was invaluable, as they helped me to make Blake a more realistic character and to avoid potential clichés which are so often seen in productions where no one has actually bothered to collaborate with a person with a trans experience. 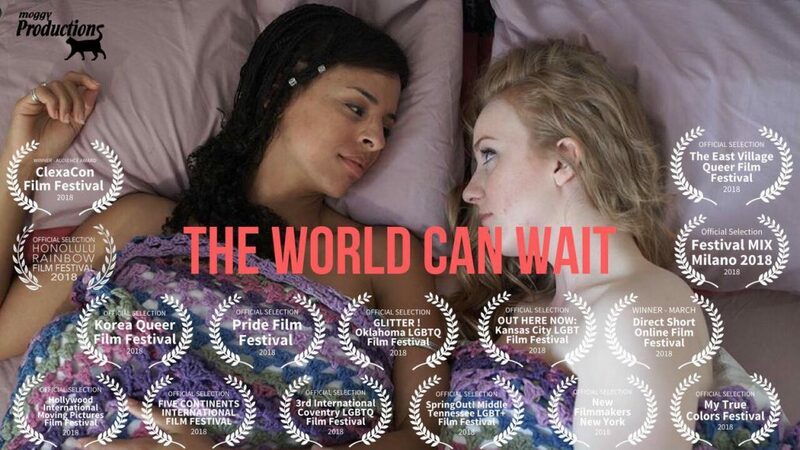 “The World Can Wait” was probably the easiest script I’ve ever written, because the story wrote itself: a lesbian character in a hit television series finds herself trapped in a room with the TV Execs in charge of the show, and she has to fight for her survival. I loved making this short because it’s a direct protest against the endless amount of lesbian characters who have been unnecessarily killed off in TV shows. Poussey in OITNB, Tara in Buffy the Vampire Slayer, Kate in Last Tango in Halifax are just a few of the brilliant characters we have lost in the last few years, and they are all referenced in “The World Can Wait”. This film was my way of saying I’d had enough, and I wanted to take matters into my own hands. But as much as I love making LGBTQ content, it can make things more difficult in terms of breaking into the industry. I had a meeting with an agent recently, who told me that my writing wasn’t mainstream enough; in their eyes, writing LGBTQ stories would basically not make me sellable, because not enough people could identify. So I guess that’s a big challenge I’m facing still, because I have no intention of not writing LGBTQ stories. We are still very underrepresented and need more visibility, so that kind of feedback felt a little backwards. I’m developing two features, both set in Brighton; a dystopian thriller disguised as a utopian romance, and a film about an all-female grunge band. So far I’ve funded all my projects but it’s going to be a lot more difficult with a feature; so any investors out there, hit me up! I’d also love to make more music videos. What advice can you give to inspire more LGTBQ filmmakers? Basically, go out there and do it. With social media, and platforms like YouTube and Vimeo, it’s never been easier for us to be seen. Create positive content, and create the stories that you want to see. I made “As We Are” and “The World Can Wait” because I was tired of seeing the same narrative over and over again, and watching lesbian characters being written off because the writers couldn’t think of anything else to do once the coming out story had been explored. We have so much more to offer than that. Don’t be put off by your lack of experience or technical knowledge; before I made “As We Are”, I’d never directed or produced anything, and there was so much that I didn’t know. But I surrounded myself with talented crews, who were passionate about the projects and who had the patience to explain things I didn’t understand. Of course, it helps if you have money, but a short film doesn’t have to cost tens of thousands; if you have a day job, put some money aside and be honest with your cast and crew about your financial limitations.